everything must go sales and auctions! Hey guys sorry to keep posting but I really must get rid of everything by friday so I cam have everything shipped off before the postage goes up in the UK on the 30th! The picture for the June set of kids has just been revealed on AAPF blog! Hi all! I just updated my sales thread with more metagame tcg cards for the current format. I have some Donphan Prime's, Pokemon Collectors and other staple cards. The prices might be a little steep so feel free to make offers if you feel the price is to high. 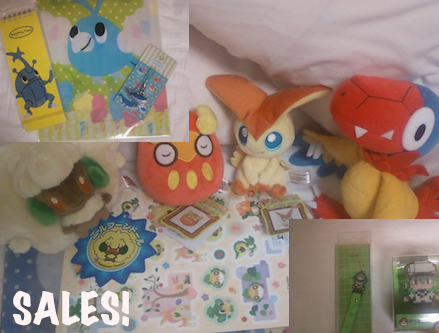 As always I am still doing pickups for pokedolls if there is any interest! I will have all this and more! Look in the cut for more details and where you can find me. I always get asked this when I post about my amigurumi! I will take commissions after the convention, and post all the details about that next week. Many users here have commissioned things from me already through Etsy, but I will do commission slots here on LJ in the very near future. All the details will be laid out when I post about it. I've been putting this off and putting this off until I suddenly looked at the date and realised there's less than a week to the UK price changes. :( Ooops. So all of my non-flats are going up for quick sale. I'll be doing next day shipping until Friday. Anything paid for on Friday up until 4pm GMT will be shipped out that day. Cool gets over the past month! 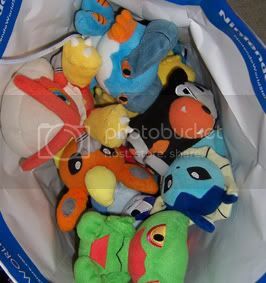 "Pokemon Centers have been giving out the tote bag pictured above. 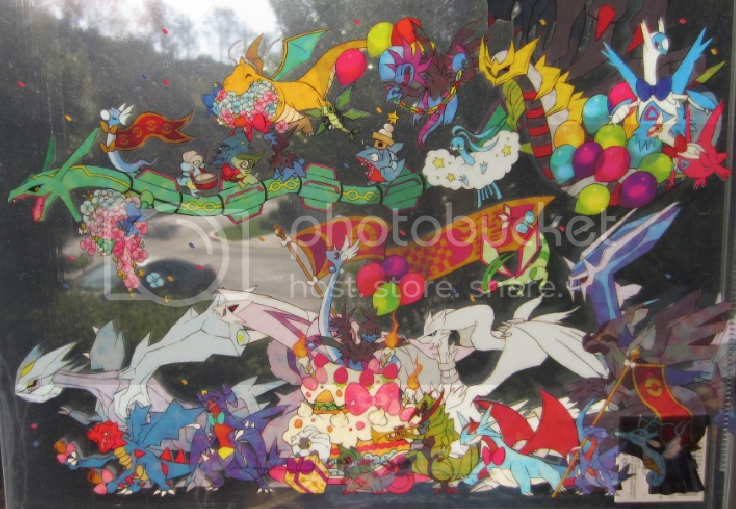 One side features artwork from the upcoming movie and the side picture above contains Pokemon from all generations." Hi community, I just have a small sales post today. Collection weeding for the most part. If you collect Gible line or Drillbur line, you might find something here for you! I'd also like to auction off this Year of the Dragon clearfile. I do not think they are sold in the pokecen anymore, so here's your chance to take a shot at one! It is minty fresh, I have not taken it out of packaging. You can clearly see the packaging in my second picture because it's so glossy. If you're interested in that, check below! Hi hi community. I was wondering what pokedolls do they have on stock at Epcot? 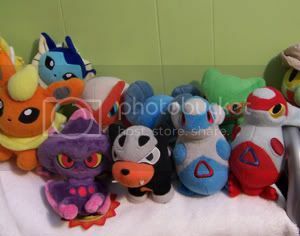 I live in Orlando, and I'm going to Epcot soon, and I would like to know the exact pokedolls they have, as I've heard that they've changed the stock and all that. And just to make this post not boring, come look at my crappy charms of latias and latios XD. I know that there are two releases of a lot of the charms; the 2009 release, and the 2011 release. A week or two ago, I bought the 2011 Growlithe charm over the 2009 one, since it was cheaper, and, by looking at the pictures, they both looked the same to me. However, the pictures were not the best, and I did not really take a good look at them, anyways. So, I was wondering, what are the differences between Growlithe's 2009 charm and its 2011 charm? Any pictures would help, too! Thanks! Also, here is a link to my sales. There is some pretty good stuff, including Eeveelution merchandise, so be sure to check it out! As agreed with Gin, I am available for pickups of stuff that is not carried by Sunyshore - feel free to check out my Pickup Post for pictures of the current Pokecen stock!